Dr. Kenamore is board certified by the American Board of Pediatrics. She received a bachelor of arts degree from Amherst College, where she majored in political science. She was awarded her medical degree from the Northwestern University Feinberg School of Medicine, where she was elected to the Alpha Omega Alpha medical honor society. She completed her post-graduate training as an intern and resident at Babies and Children’s Hospital of New York-Presbyterian. Her clinical experience began in the well baby nursery at Children’s Hospital of New York-Presbyterian. She also served as the assistant medical director of the Covenant House in Newark, NJ. Most recently, she was a pediatrician in private practice and partner with Westchester Pediatrics in Hartsdale, NY. 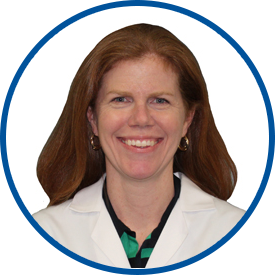 Dr. Kenamore is an Instructor in clinical pediatrics at Columbia University College of Physicians and Surgeons and an attending pediatrician at White Plains Hospital. Dr. Kenamore has admitting privileges at Children’s Hospital of New York (CHONY) and White Plains Hospital. *Dr. Kenamore exceeds expectations and goes above & beyond w/time spent, knowledge & nurturing nature. *Dr. Kenamore makes you feel heard, validated, and as if you are her only patient! She pinpointed a very soft murmur in my 3 moth old. The echo she referred me for was of no concern thankfully. Shes got good ears. Dr. Kenamore is excellent. She is thorough, caring and has developed a relationship with my children. She asks questions to make sure they are phsyically and emotionally well. They trust her and look forward to seeing her every year. I feel completely confident with every visit and feel grateful to have such a knowledgeable and personable physician to look after my children. Dr. Kenamore is excellent. My children all love her and feel comfortable with her. She knows their medical history and takes as much time as we need to ensure they are taken care of. We are very grateful to have her. Dr. Kenamore is a wonderful pediatrician who cares about the whole patient and provides comprehensive care. We trust her completely. Dr. Kenamore is the ABSOLUTE best healthcare professional. She handles my daughter with the utmost of care and speaks to me about as a responsible caretaker for my daughter who can/will execute her directions with total compliance. Highly recommend *Dr. Kenamore. She is thorough, answers all questions/concerns, knows history of my children. Absolutely love *Dr. Kenamore! *Dr. Kenamore is ALWAYS professional and caring and helpful. Dr. Kenamore is very thorough and precise. She sent us to get an ultrasound of my son's abdomen (possible appendicitis) and clearly explained the plan of action. I felt at ease, even during a stressful situation, because of Dr Kenamore's clear explanation and caring personality.